Hello! Welcome to the Taylored Expressions June Sneak Peek Day One! We are releasing 8 new stamp sets, 5 new dies and a new cutting plate... I know you are going to love it all! We are back from our 11 day trip to Utah. Despite both Brina and Dan getting the flu, we managed to see all 5 Utah National Parks. Brina was thrilled with all the comments on her Tiny Chef projects from yesterday and wanted me to say a BIG thank you for each one! Now on to the release peeks... I have a couple of projects to show you today. The first one uses the new Ride the Wave full sized stamp set. Our DT coordinator, Jami, wanted a vintage style surf set similar to You're My Hero.. and Ride the Wave was born! I created my own background paper using acrylic paints and my Gelli Arts gel printing plate. Once the paint dried, I embossed the trio of palm trees from Ride the Wave twice. I used the new Ray of Sunshine Cutting Plate, stitching it on top of my background paper. I simply added the sentiment (also from Ride the Wave) to a die cut circle and added to the center with foam tape. For my next card, I used the new Pinking Circles to frame my main sentiment/image panel. 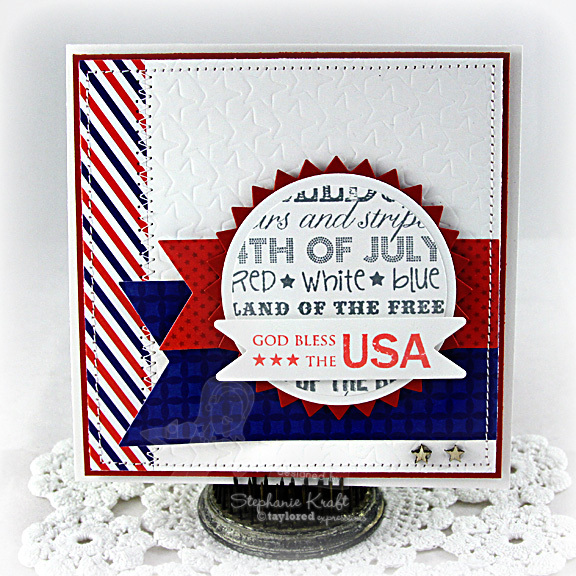 I stamped the new Graphic Greetings Patriotic and die cut a portion of it with a circle Nestabilities die. God Bless the USA is from Stars & Stripes. 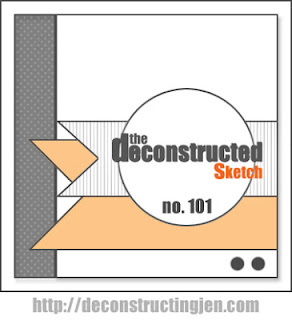 I used Jen's Deconstructed Sketch #101 for my layout. 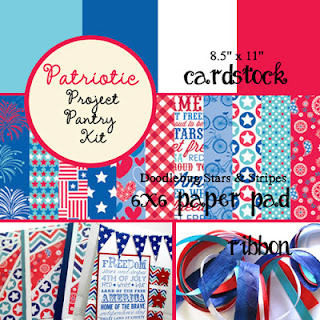 I also used the Patriotic Project Pantry Kit to make my card. Accessories: Taylored Dies: Ray of Sunshine Cutting Plate (Taylored Expressions), Standard Circle Nestabilities – SM (Spellbinders), White embossing powder, Gel printing plate (Gelli Arts), Acrylic paint, Foam tape, Thread, Sewing machine. Accessories: Taylored Dies: Pinking Circles, Banner Stacklets 1, Fly Your Flag 2, Stars Impressions Plate (Taylored Expressions); Standard Circle Nestabilities – SM, LG (Spellbinders); Wood veneer stars (Studio Calico), Foam tape, Thread, Sewing machine. Stephanie these are fantastic! I've been eying that first card in the gallery all week! It's just gorgeous and love the wonderful contrast and embossing in your second card - not to mention who brilliant it is to die cut the GG stamp... so smart! Stephanie! I agree with Jen, your first card is simply breathtaking, I LOVE it! I will have to try painting a background one of these days. Love how you used the red, white and blue in your GG card, so pretty! Hope you had a fun vacation, hugs! Wow!How cool is that first card - I have never used the Gelli Arts gel - what a cool look!! So so so lovin' it!!! And your GG card is so cute - such a great way to use the GG stamp with the sentiment from the Stars&Stripes - so awesome!!! Hi Stephanie! FABULOUS cards for today. I love the background paper you chose for the ray of sunshine die. Came out great!! 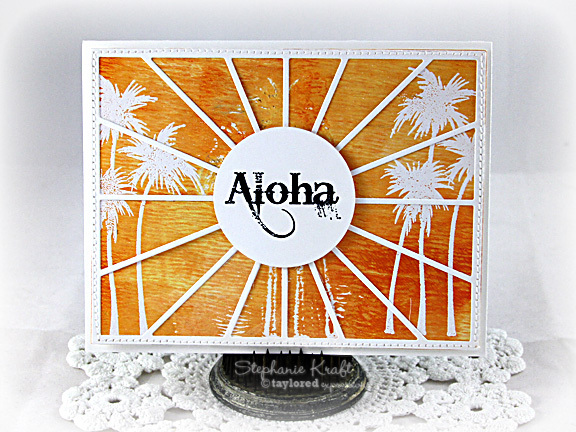 I looove how you used the white for the palms and the Ray of Sunshine cutting plate...they just pop against the rich yellows and oranges of the background papers!!! Love your patriotic card, too....the sketch is great and I love how you used the GG's stamp!!! Fabulous cards. That Aloha card is gorgeous. I must lean more about this gelli thing! And your patritic card is great - love the way you used just a portion of the image!